K-drama fans collectively let out a sigh of relief when the rumored wedding of Korean superstars Gong Yoo and Jung Yu Mi was denied by SOOP Management, the agency that represents both of the stars. SOOP's official statement reads, "The rumor related to the two actors that has recently been circulating in various online communities and social media is clearly false. From now on, we will respond strongly to any circulation or reproduction of that rumor." 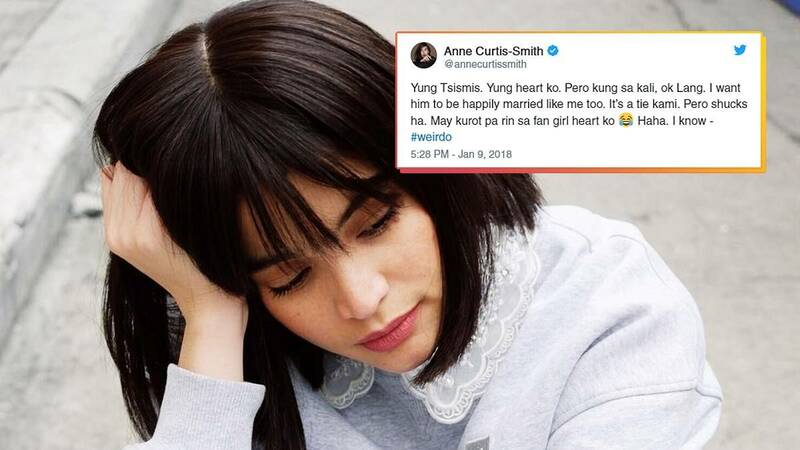 Among those deeply invested about the news is K-drama lover and notorious Gong Yoo-obsessed fangirl, Anne Curtis. Writing on Twitter, she said, '"Yung tsismis. 'Yung heart ko. Pero kung sakali, ok lang. I want him to be happily married like me too. It's a tie kami. Pero shucks ha. May kurot pa rin sa fangirl heart ko. Haha. I know #weirdo"
Gong Yoo and Jung Yu Mi co-starred in the Korean films Silenced in 2011 and Train to Busan in 2016. This propelled many rumors to circulate about the two forming a special relationship.